A few days ago I tackled a bit of knitting and here is a small unfinished sample of the results. This time I made a bootie from Natural Nursery Knits: Twenty Handknit Projects for the New Baby by Erika Knight. As soon as I saw the projects I knew that I had to try something and the booties were calling my name. It's been a while since I knitted anything from a pattern so this is just a quick version with cheap yarn. 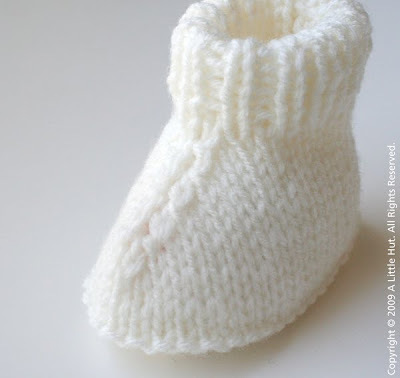 I've never made a knitted bootie and I was very surprised at how easy it was—the instructions were very clear. I can't wait to buy the cotton tape that I still need to complete the project. I also need the organic cotton yarn that I'll use for the final version of this project. 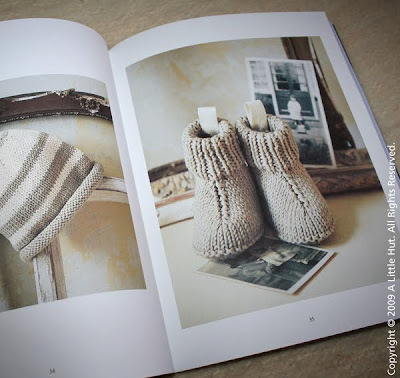 After a short intro about natural fibers and their differences, there are twenty simple but very chic projects which include: blankets, sweaters, booties and a variety of items for the nursery. All the projects are made using organic or sustainable fibers. I like that the projects are either very useful or at the very least they will make beautiful gifts. Since we won't be having anymore babies I'll be more than happy to make some for my friends' little ones. 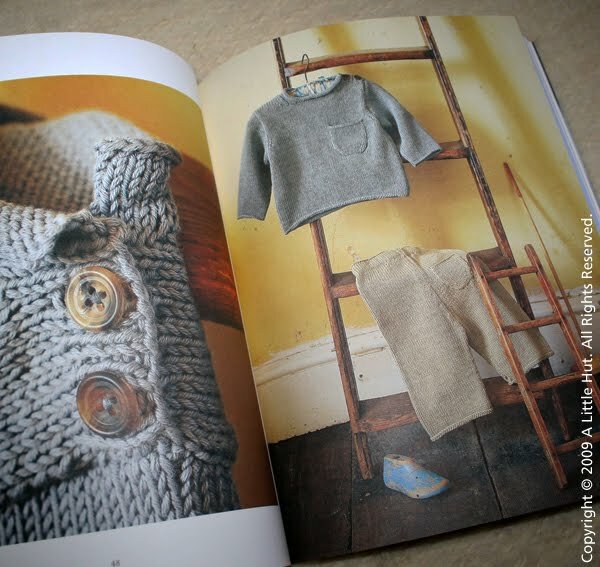 I also need to add that the styling and photography of this book is beautiful. It makes the whole experience of flipping through its pages even more enjoyable. 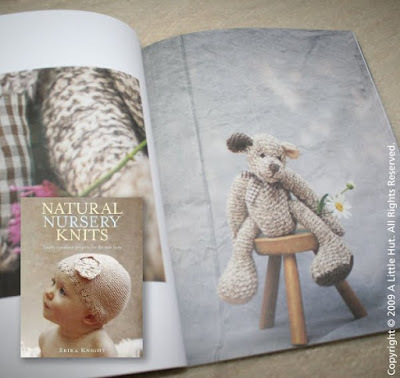 If you know a mom-to-be that knits the book itself would make a wonderful gift. For those of you that celebrate Thanksgiving tomorrow I hope that you enjoy the holiday with friends and family. Eat plenty, be merry and then fall back into a comfy chair. I know I will.